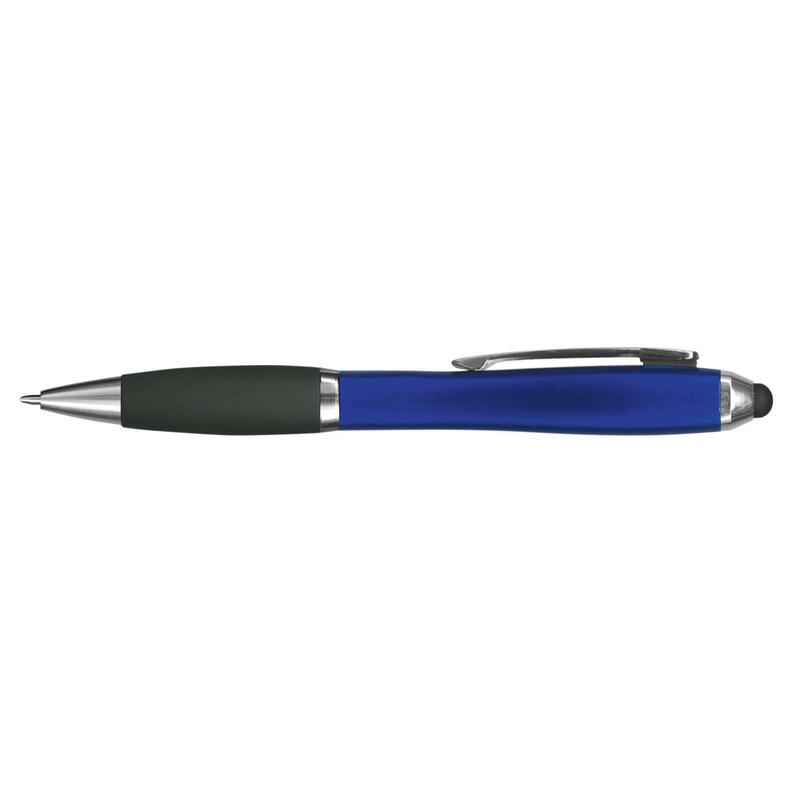 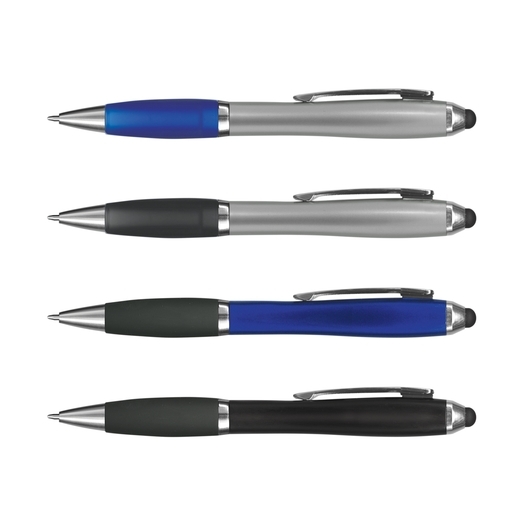 A cost effective stylus pen that comes in corporate style colours. 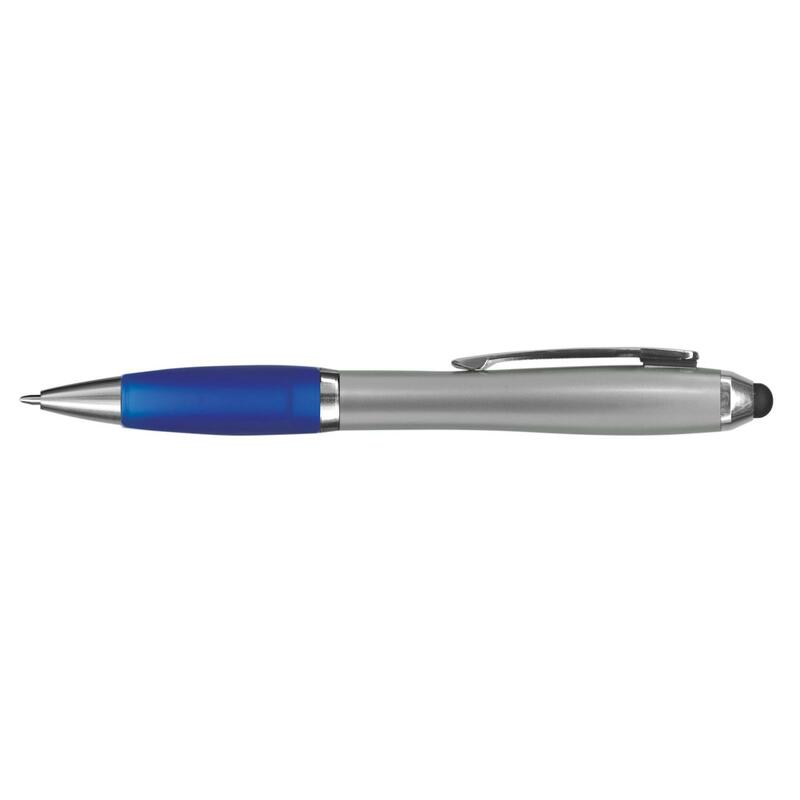 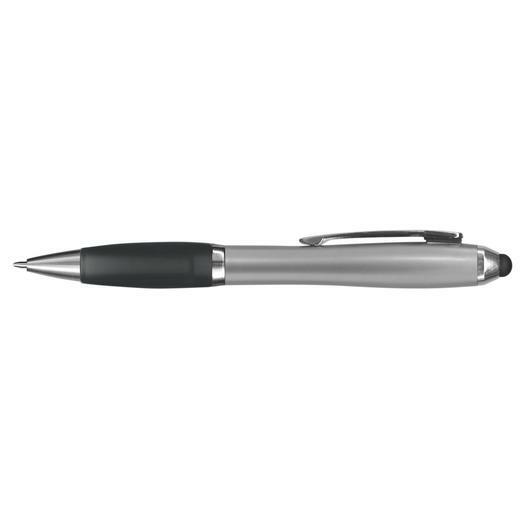 Keep on trend with some of these twist action plastic/metal ball pens. 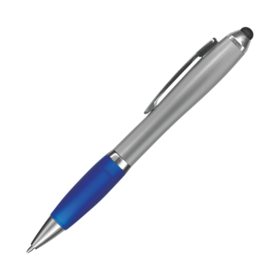 They have a metallic barrel, frosted translucent rubber grip, shiny chrome trim and a stylus for use on your favourite touch screen devices. Each pen comes with a 600m German made black ink refill and a tungsten carbide ball nib for comfortable writing.